the customization can be daunting. I find myself doing a lot of the customizations by trial and error. The documentation is very thorough and complete but it is difficult to find what you may need for a specific chart customization. Also the library seems to be on an 1+ yr update schedule. I'd like to see more frequent updates. Some charts obvious customizations are not available. For example on the column2D chart you can change the color of each bar but the color of the text for each bar to set for the whole chart .. should be customizable as well. Keeps our website running and providing for most users what they wantFlexible and reliable. Provides most of the graphic options that we need on our website. We have not had a survey of website users to better understand pros and cons, but perhaps no news is good news from users. Flexible and reliable. Provides most of the graphic options that we need on our website. We have not had a survey of website users to better understand pros and cons, but perhaps no news is good news from users. technical issues have to be dealt with by our website contractor, which costs extra. In addition there is a delay often at the most inconvenient time. We are not really aware of any alternative that is available to use. So much in terms of being able to effectively communicate status with our customer in a live interactive way.Flexibility in design. Interactive nature. Color schemes. Clickable data. Dashboard layouts. Font variety. Flexibility in design. Interactive nature. Color schemes. Clickable data. Dashboard layouts. Font variety. Complexity of development customization. Took our team a bit to get the gist of Fusion in terms of what it provided out of the box, and what our team needed to do to customize to our needs. 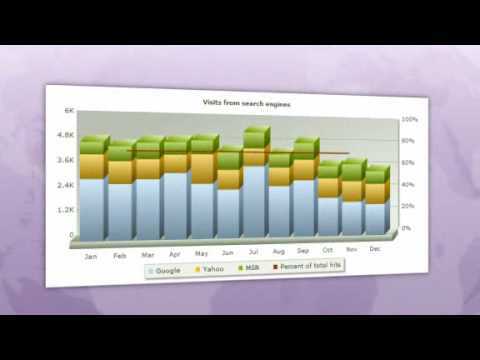 Visualize and make sense of day to day metricsEasy to create reports from data. We use them with MySQL + PHP and it is surely he most elegant and easy to use graphical report display software I have implemented to date. Easy to create reports from data. We use them with MySQL + PHP and it is surely he most elegant and easy to use graphical report display software I have implemented to date. Sometimes, with a lot of data points, it will be slow to show the reports. It would be awesome if there was a "loading" graphic. Wide range of charts to pick from and the documentation. The community is active and support helps a lot. Pricing for FusionCharts Suite includes all charts, gauges and maps, and varies according to business needs, and number of users. Consult FusionCharts for full pricing information. Below are some frequently asked questions for FusionCharts. Q. What type of pricing plans does FusionCharts offer? Q. Who are the typical users of FusionCharts? Q. What languages does FusionCharts support? Q. Does FusionCharts support mobile devices? Q. Does FusionCharts offer an API? Yes, FusionCharts has an API available for use. Q. What other apps does FusionCharts integrate with? Q. What level of support does FusionCharts offer?